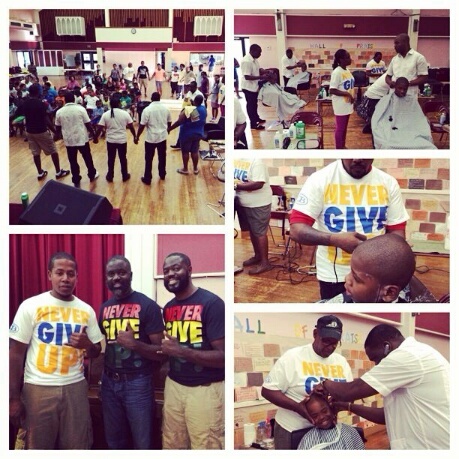 The Caines Brothers and 5 Star Barbershop Back to School Extravaganza held today [Sept 4] saw 230 boys receiving haircuts and over 425 book bags being handed out, with 15 local barbers volunteering their time and talents, while 75 volunteers assisted over the past few days in putting the event together. The organisers extended their special thanks to the major sponsors Trinity Sound, South Shore Hospitality Group, Smash, Sunshine Company, Security Associates, Alpha Phi Alpha Fraternity Inc. and St. Paul’s AME Church, and also thanked Premier Michael Dunkley, Opposition Leader Marc Bean and the various other Members of Parliaments who stopped by throughout the day to show their support. “It is the hope of 5 Star Barbershop and the Caines Brothers that this simple experience will signal a positive start to the new school year for our boys and girls, as we believe in the future of Bermuda as well as indicate what can be done when we all work together to help each other. Well done to all involved, especially the Caines brothers. Thank you for your sincere and selfless efforts. Excellent. Real leadership. Thank you for all that you do. why could not all wear the same colour tee shirt? Distinction, unnecessary. APPRECIATE WHAT THEY HAVE DONE WHY COMPLAIN? More selflessness is needed.Those involved deserve lots of credit! Teaching to give is the way ! Respect for Giving Back To The Youths!! Absolutely warming to the heart, Thanks for all you do.. Excellent Work by everyone involved!!! may God Bless you all!!! has Caines joined the Taliban….. or ISIS?? you needed a shave today……lol good work you and your brother and Michael Chamberlain, all of the barbers and volunteers thank you. This brings tears to my eyes…next year take it to east and west end. This was open to all people. My little cousin stays Somerset and went to Hamilton and got his haircut and backpack. If you feel this should happen outside of Hamilton then you should start now looking into avenues where YOU can start something of the caliber. Thank you to everyone involved in this community effort. Your selflessness and support of the youth and their families is very much appreciated. 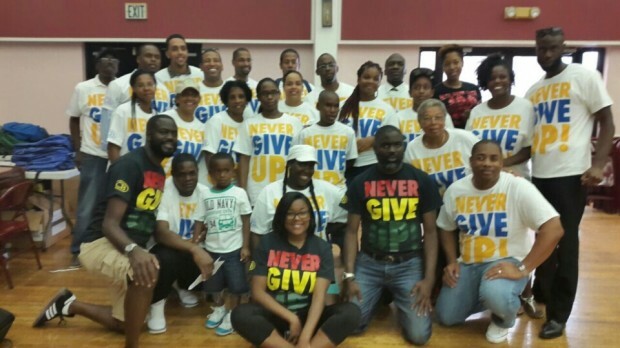 Special thanks to Michael Chamberlain and the Caines Brothers for spearheading this event! God bless you all!! I hope this annual event opens up a desire in our young men to possibly pursue a career in barbaring; a commendable and respectable career choice. A 2-minute education in “Progress”! The Caines brothers are exceptional people. Thank you to them and all who put this wonderful event together.